Caution - Expensive subscription slam! 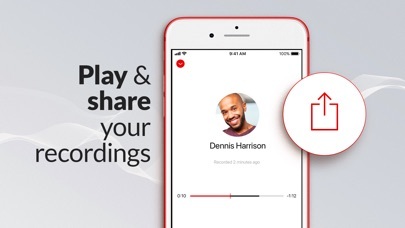 This app should be taken down... unlimited recordings 69.99/yr! 8.00/wk! 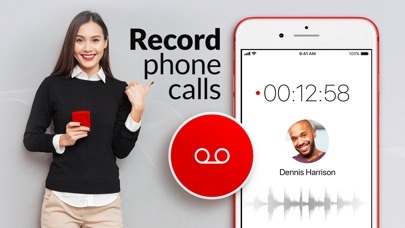 If you’re looking for a discreet, user friendly, affordable app for recording you calls, THIS IS NOT IT!This app is the worst. It is not intuitive and requires to many steps. I was trying to record a very important conversation that was lost due to the calls not merging properly. Nothing about the recording process is smooth. It is not discreet either. There is a loud beep that happens once the calls are merged. 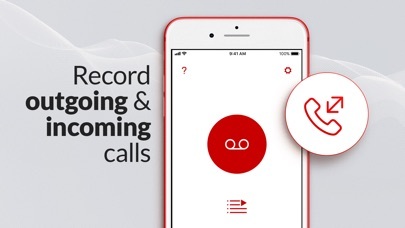 On two occasions while recording the app caused a blaring tone that me and the other person on the line could hear. It did not stop until I hung up. With RecMyCalls being such a malfunctioning, hard to use and no frills app, imagine my surprise when I realized there was a WEEKLY fee of $8.50. That’s $34 A MONTH! That’s a complete rip off and not at all worth it. I have to start paying closer attention the “after trial” costs. 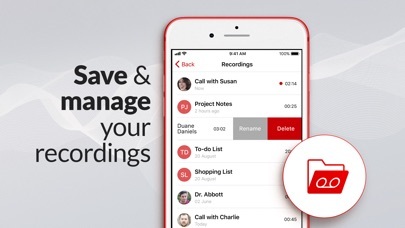 Do not get this app! This is impossible to get off your phone, it has been charging my account for a year or so. This is after getting a new phone and changing bank accounts. When I try to find it on the phone to stop payment, I can’t.. Why? It was never on this phone! I guess I need to get my broken phone fixed just so I can stop paying for it. Excellent guided instructions- very straight forward and easy to use. Great program. Occasionally I get a high pitch beep at the beginning of the call connecting though which is quite annoying. I have tried to use this several times now it has never worked once. Getting chargebacks with apple support now. Do not get this app it does not work and they will not stop charging you. I’m requesting it be taken off of apple store. At first I was scared to even use an app that person said that they could do this and this was the easiest call and record I’ve ever had. The app is not working. I want to cancel the subscription and delete the app. But how can I be sure that I’m not being charged?